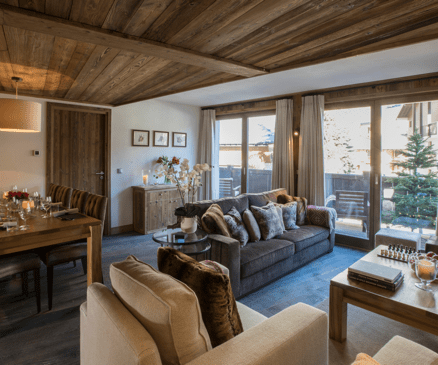 Val d’Isere Location is a company dedicated to providing great ski chalets and apartments with a difference. We fell in love with Val d’Isere many years ago and it was from here our dream evolved and we set up Val d’Isere Location. We have hand-picked wonderful properties and offer an unparalleled service in resort. We endeavour to share our years of experience in Val d’Isere to make your holiday amazing. Let us help you find a wonderful base for your holiday from one of the amazing properties we have. Appointed to the standard of a boutique hotel with luxury linens and toiletries, and maintained to the highest standard, they will all offer you a warm and welcoming arrival. Val d’Isere has everything you could want from a ski resort, with over 300km of marked pistes, superb restaurants and a wealth of shopping opportunities. Along with the lively apres-ski and quality live music to suit all tastes after a hard day on the slopes, there really is something for everyone. Val Concierge Services and our dedicated concierge team can help with your every need however big or small. We provide this so you can personalise your holiday, and ensure you make the most out of your stay in Val d’Isere. Whatever you need just let us know. Our properties are all available on a self-catered basis, but we can also offer a variety of catered options. We have trained chefs on hand to cater to all of your requirements, giving you the freedom to decide your own eating arrangements. We have nearly 20 years’ experience in the industry and Alps and have been operating in Val d’Isere for over 10 years. We have combined our experience to provide you the best holiday possible, and we are proud of the service we offer to guests and owners alike. Our aim is to allow you more flexibility and freedom of choice so you can enjoy your holiday, your way.